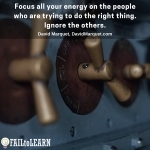 Captain David Marquet is the author of Turn The Ship Around. The book documents his time leading the nuclear submarine, the USS Santa Fe. From among all the books I’ve read on leadership, Turn The Ship Around is one I remember and consistently think about when working with my team. The prescription he outlines is a very simple model empowering everyone to produce the best possible outcome. I decided to pick David’s brain about the struggles he faced and how he came about the strategies listed in his book. How the top down, leader-follower model is not the most efficient way to run a team. Why we’re wired to create a leader-follower hierarchy. What happened when David took control of the Santa Fe, a submarine he wasn’t trained to run, didn’t know all the details about, and a ship with the worst performance in the US Navy’s fleet. Why he originally walked in with the mindset that he needs to give all the orders and know all the answers… but he didn’t. Why waiting for orders is a psychologically safe place for your team, and how to change that. 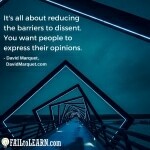 How giving orders prevents people from speaking up…even when you say you want people to speak up. The idea of a leader is to create an environment where your people can be at their best. Why we associate thinking as not working, and how that is wrong. How to give your team “control, competence, and clarity.” And how it will make your life easier. How David’s book gives you the tools you need so your team can feel like they’ve achieved what Daniel Pink says truly drives people: Mastery, autonomy, and purpose. How to use language that can start changing behaviors today. How to invite people higher on the ladder of leadership. How to use language that empowers others to create ownership in their work. How David used the words, “I intend to…” And how it started the transformation aboard the Santa Fe. How to start asking more questions… And how it will enable your team to become more proactive. Why it’s important to think out loud. Why it’s important for your team to be comfortable with ambiguity and probabilistic thinking. The difference is between binary thinking and probabilistic thinking… And why it’s important to shift from binary thinking to probabilistic thinking. 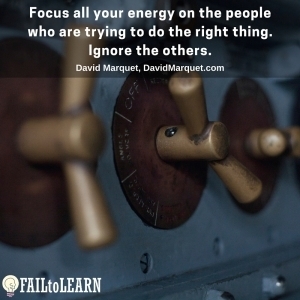 Why it’s important to focus all your energy on the people who are trying to do the right thing… And why you want to ignore the others. 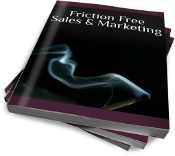 Why you need to give your people the words to say… And how to get them to practice so they know what to say when real problems arise. Why everything he thought about leadership was wrong. How you stop learning when you think you know something. How speaking has made him realize he doesn’t need to be liked by everyone, and how he struggles with it. Download the tips from this episode in the 1-Page Quick Action Sheet for this episode here. 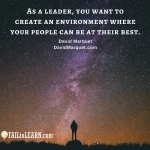 DavidMarquet.com – sign up for his weekly leadership nudges! 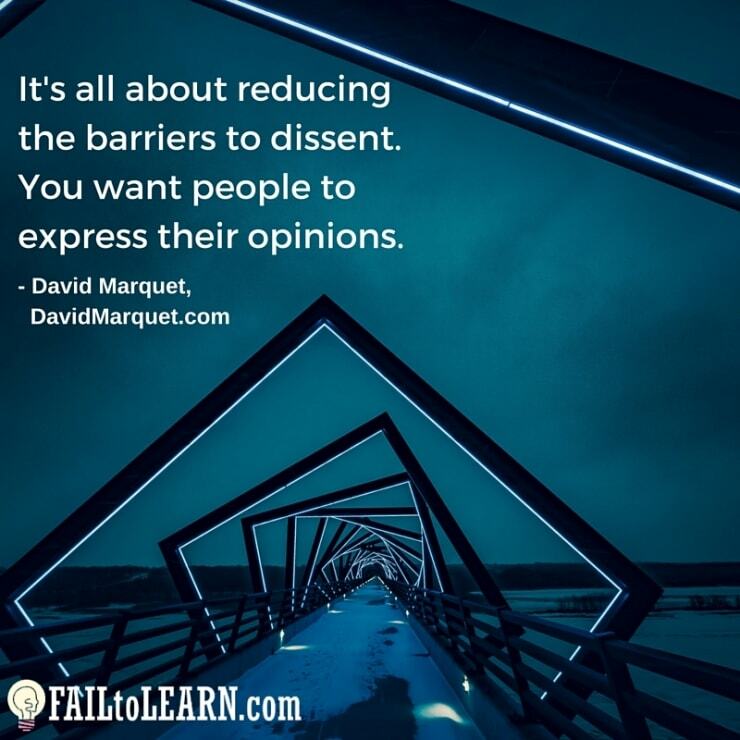 DavidMarquet.com – go subscribe for his weekly leadership nudges!